Some people might have called this "Super Bowl Weekend", but for me it was a Super Sewing Weekend. Or if you must talk about the football game, I'd call that "The Beyonce' Concert". She put on a great show. I was able to sew most of the day yesterday because Mr. R was at his monthly charity dental program. 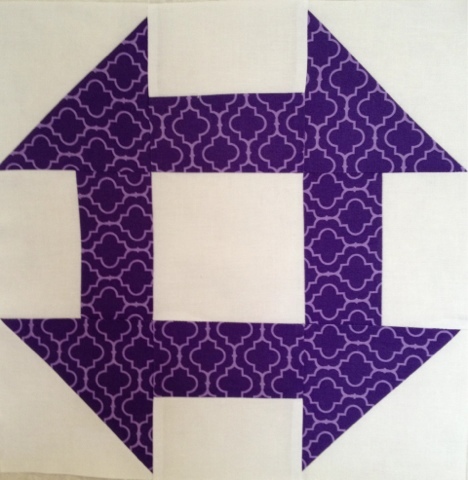 I finished piecing all the blocks together and got the borders put on my Pezzy Churn Dash quilt. I am having a hard time finding just the right fabric for the backing. I'll keep looking for the next few days, but suggestions are greatly appreciated. More Churn Dash blocks, these were made for the Modern Stitching Bee's queen of the month. Susan requested aquas, blues and purples. I think I did well choosing fabrics that she will like. I am preparing to attend and teach at the Sew South Retreat in March. This means making 4 swap gifts. We are to make 4 of the same thing and then we will be put into groups of 5 and swap. 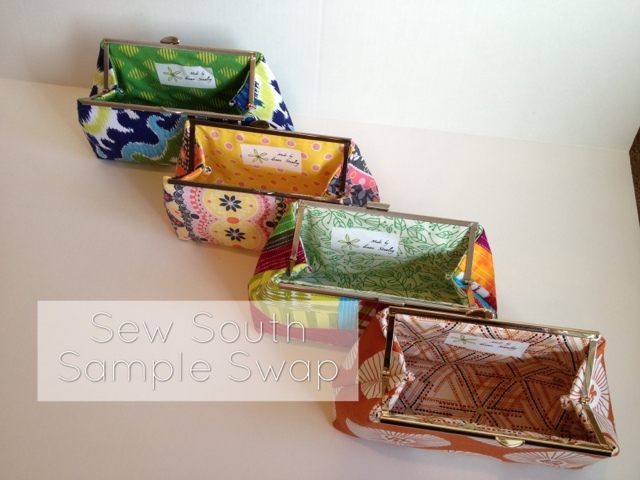 It seems only right that the framed clutch purse teacher swap clutch purses, right? I made these assembly line style and tried to choose a variety of fabrics and hopefully please all in my group. Here they are lined and labeled. This is a simple clutch, not the one I will be teaching, but still a great clutch. That label on the photo is my newest app on the iphone. It's called Title FX and it's really cool. You can use it to make a watermark on your photos or to title them. Thanks to my app guru sister for the heads-up, it was free. You can find her on Instagram @gericentonze or her blog . She also showcases her artwork on EyeEm @gericentonze. I have lots of things to get ready for the post office. I hope you have all had a wonderful and relaxing weekend. Wow those clutches are beautiful and I love the quilt. The clutches are great. I'm sorry to miss Sew South. Maybe next year? Your clutches are beautiful, your group will be very luck to get them. 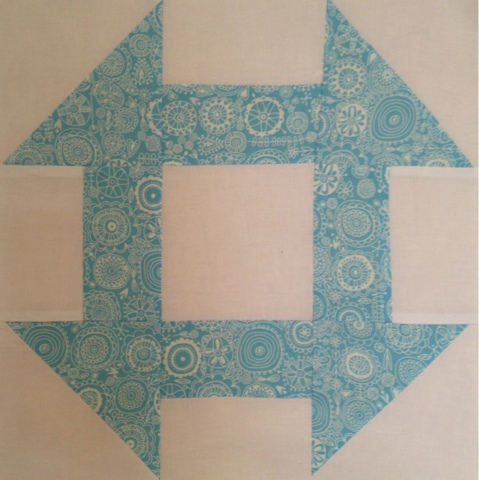 I would be inclined to put a modern print on the back of the churn dashes or a solid with just one or two of the blocks. Love the clutch purses! I made my churn dash blocks too on the weekend! Is the watermark only available for iphones and instagram? The clutches are so perfect - all just a bit different. Great job! This fills me with happiness! Love the pezzy churn, love the clutch and your blocks are just gorgeous. Great post! I know nothing of the Superbowl, and am quite happy to be ignorant! Lovely pouches; love Kelli's idea of orange/polka dots! You did amazing picking my bee block fabrics, thanks! And those clutches look wonderful. Glad you're putting TitleFX to good use! Thanks Super Sister! 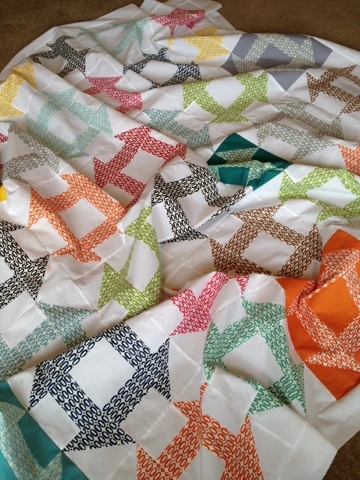 Oh how i love your pezzy churn quilt! And those clutches are to die for! p.s. Are you all done with your W30? Love this quilt. I know I've already told you that, but I really do. AND love the clutches. 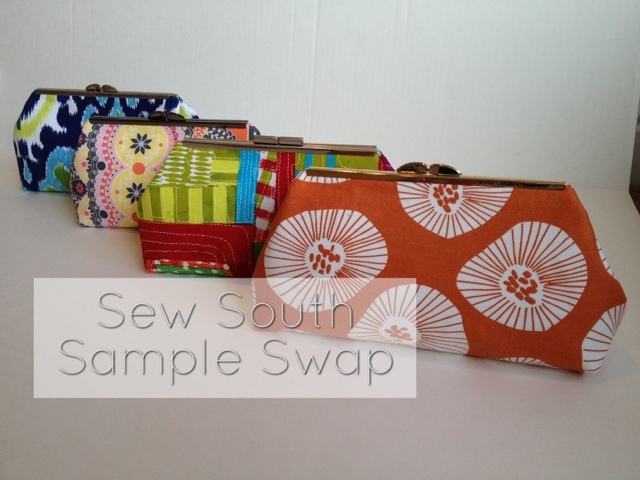 You're going to be a big hit at Sew South!